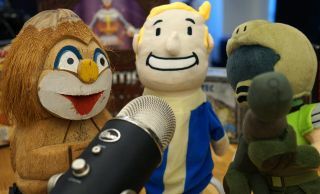 This week we'll be taking a look at Rainbow Six Siege and Just Cause 3, hearing about Wes' trip to Hi-Rez Studios, discussing the appeal (or lack thereof) of streaming from console to PC, and more—including the return of our Catfantastic quiz and the usual Twitch chat Q&A. Wes' trip to the Smite regionals and Hi-Rez Studios. James talks about how Rainbow Six Siege is shaping up. The triumphant return of the Catfantastic Quiz! What's the appeal of streaming your console to your PC? Just Cause 3 and if sandboxes are enough anymore. Another podcast on the surface of the sun.